B. Thomas (Arlington, Texas, United States) on 4 September 2018 in Animal & Insect. 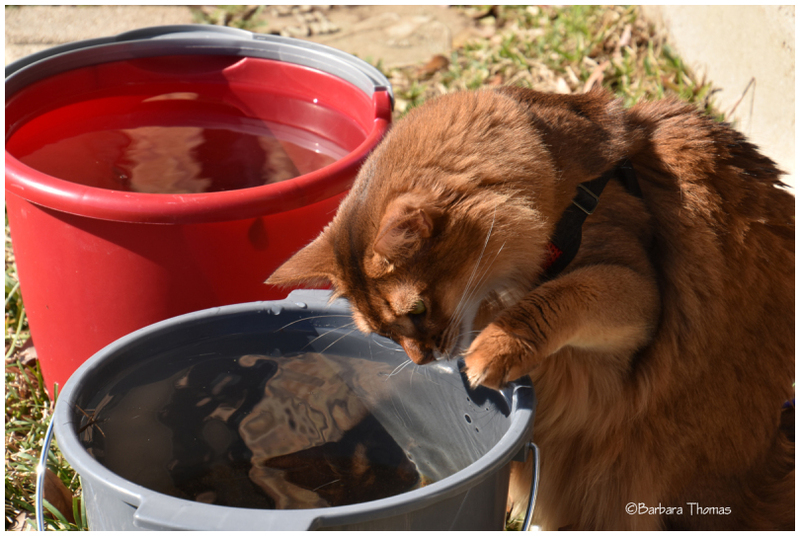 Rocky wonders if there are any fish in here? Your cats are really magnificent Barbara and it is a pleasure to see them regularly on your photos. Rocky looks for a fish but maybe also look at you he his image in reflection? Did you see the photo of my new baby dog on my site yesterday? I think Rocky might have spotted something in the water. Excellent capture. Good shot. Looking to see if the fishing is good. A cute storyline you've created with this great capture!! Happy ST! He's asking, "Who's the most handsome cat of all? ".